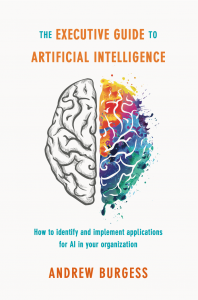 The Executive Guide to Artificial Intelligence (Palgrave MacMillan, 2018) takes a pragmatic and hype-free approach to explaining artificial intelligence and how it can be utilised by businesses today. At the core of the book is a framework which describes in non-technical language the eight core capabilities of Artificial Intelligence (AI). Each of these capabilities, ranging from image recognition, through natural language processing, to prediction, is explained using real-life examples and how they can be applied in a business environment. It includes interviews with executives who have successfully implemented AI as well as CEOs from AI vendors and consultancies. Any regular reader of my newsletter will know that AI is one of the most talked about technologies in business today. It has the ability to deliver step-change benefits to organisations and enables forward–thinking CEOs to rethink their business models or create completely new businesses. But most of the real value of AI is hidden behind marketing hyperbole, confusing terminology, inflated expectations and dire warnings of ‘robot overlords’. Any business executive that wants to know how to exploit AI in their business today is left confused and frustrated. So, as an advisor in Artificial Intelligence, I regularly come face–to–face with executives who are struggling to cut through the hype that surrounds AI. The knowledge and experience I have gained in advising them, as well as working as a strategic advisor to AI vendors and consultancies, has allowed me to help business executives understand what AI is and how they can exploit its many benefits. My hope is that, through the distilled knowledge included in this book, business leaders will be able to take full advantage of this most disruptive of technologies and create substantial competitive advantage for their companies. 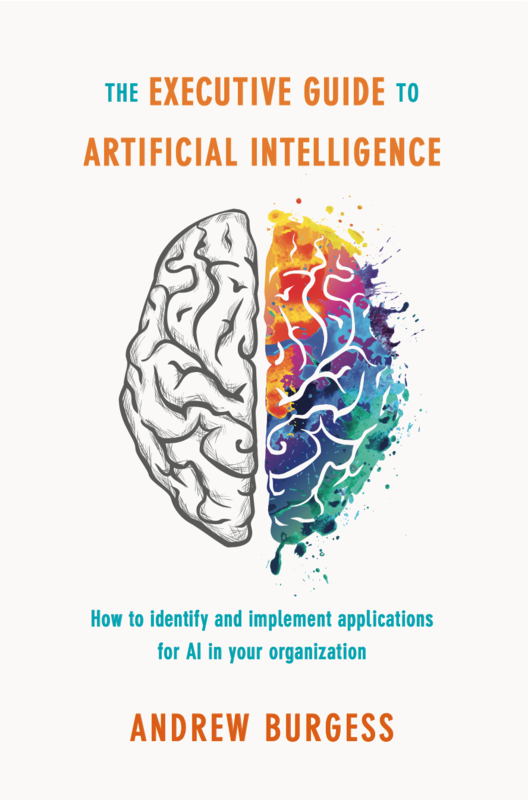 You can order The Executive Guide to Artificial Intelligence in hardback or Kindle versions directly from the publisher or through Amazon. If you like what you read, please do leave a review and a rating.